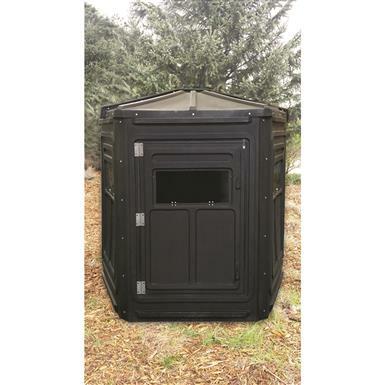 Stealthy concealment for the hunting edge. Give yourself the upper hand on wild game. 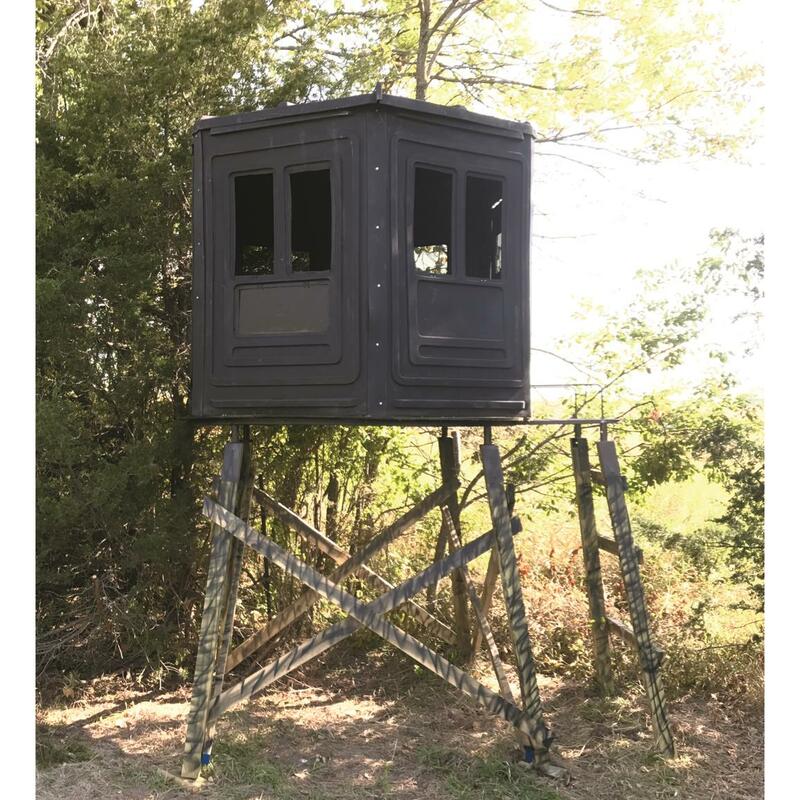 Step inside the scent-containing, movement-blocking walls of the Booner 5-panel Dagger Dual Hunting Blind and disappear into your surroundings. Durable Hunting Blind is made from UV- and weather-resistant polyethylene that stands up strong against rain, wind and other harsh weather. 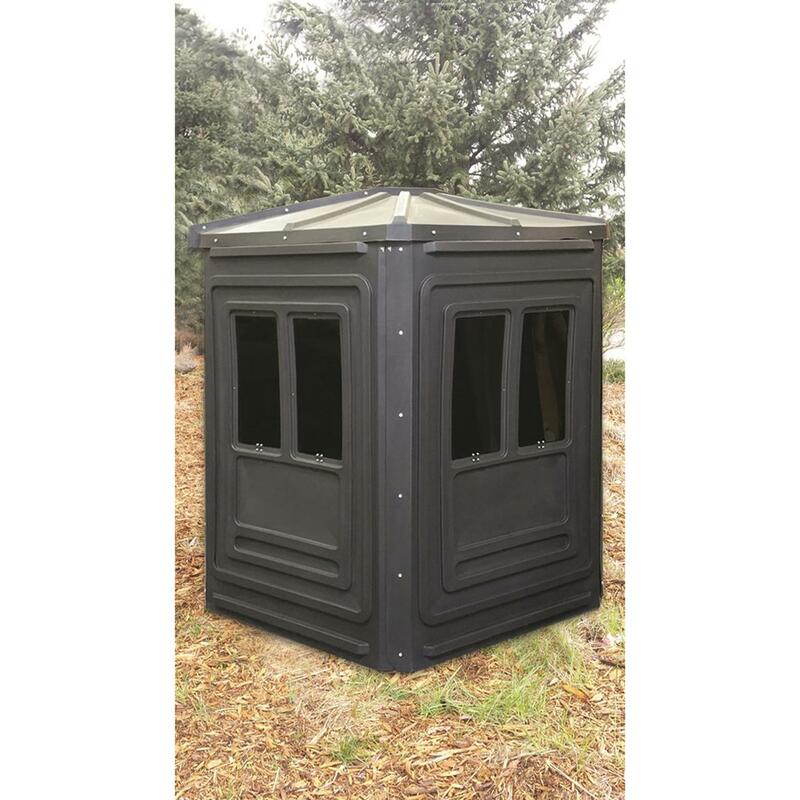 Blind comes equipped with seven 22" x 10" windows that provide excellent sight lines in all directions and a large, easy-access door. Note: This item is shipped by commercial carrier curbside. Unloading is the customer's responsibility, including off the back of the truck. This product ships in one box, measuring 70"l. x 46"w. x 17"h. and weighing approx. 140 lbs. No expedited delivery. High-value orders require a physical street address, otherwise insurance costs will be added to the shipping total. Window Dimensions: 22" x 10"
Door Dimensions: 46" x 32"
Overall Dimensions: 72"l. x 75"h.